Georg Brandl is a Python core developer since 2005. He now cares for Python 3.2 and 3.3 as release manager, and is also responsible for the documentation. He is also the author of the Sphinx documentation system used by most Python projects. In his spare time, Georg works on his degree in physics at the Technical University of Munich. 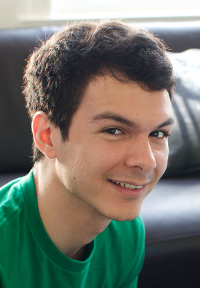 Rian Hunter is Dropbox’s third engineer. He’s developed and helped shape the product from its early alpha and beta versions to its current form supporting hundreds of millions of users today. He’s a graduate from MIT and his experience spans distributed computing, databases, file systems, kernel and embedded programming, and data synchronization algorithms.